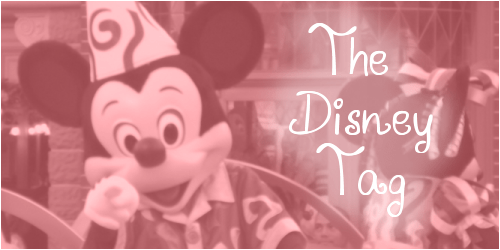 I saw this Disney Tag on Sian’s blog and thought it’d be a fun thing to do! Oh so many! But I guess it would have to be Robin Hood. Oh he is so handsome “just like in his reward poster”. And then of course Maid Marian is just a perfect match! Robin Hood!! Most definitely my favourite Disney movie whilst growing up. Currently my favourite Disney movie is either Tangled or Enchanted. Waking up on Christmas morning and getting Beauty and the Beast on video and watching it all day long! There are so many fab Disney songs but I think “Be Our Guest” from Beauty and the Beast has to be a favourite! I could probably sing that word for word. Or actually “Friend Like Me” from Aladdin! That one I could sing word for word! What is your go to Disney movie? We watch the Monsters movies often! I think Little Miss loves them so we tend to watch them at least once a week. But thankfully I do enjoy them. My go to movie would be Beauty and the Beast. I can’t remember the year but the first Disney park trip was Eurodisney (as it was known back in the day!) with my Nain & Taid K. I dragged him on Space Mountain with me! I’ve been to Disneyland Paris (see above) but most recently we went to Walt Disney World in Florida for our honeymoon. We did most of Walt Disney World expect we didn’t get to Epcot. 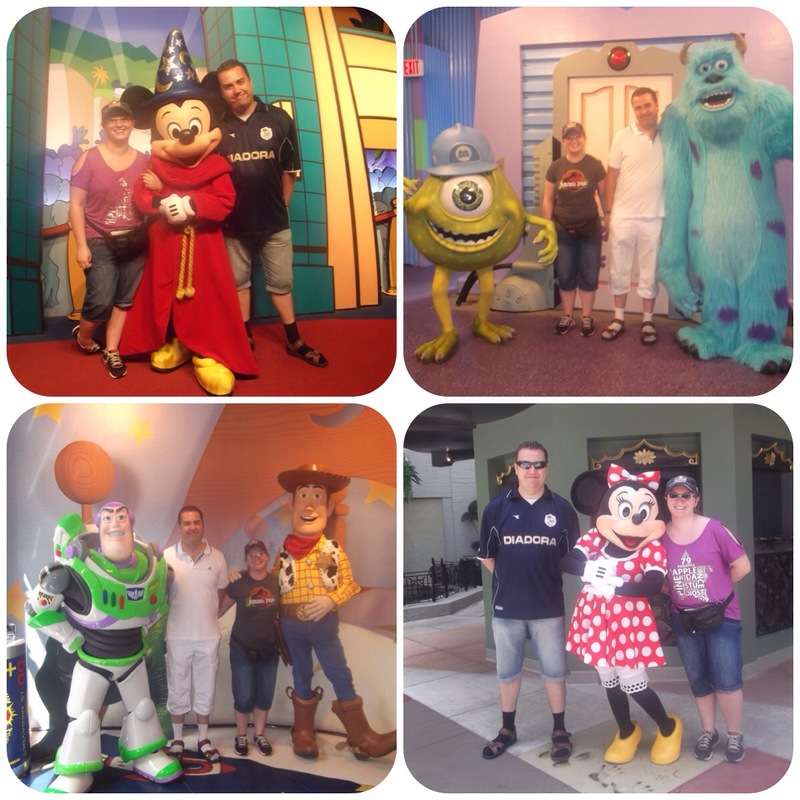 We really enjoyed Hollywood Studios and we met a lot of the characters there. We also enjoyed Animal Kingdom.The best ride we went on there was the Aerosmith ride! Although we also enjoyed the Toy Story ride which were both at Hollywood Studios. Everyone seems to cry at Bambi’s mother dying but I can’t choose that scene because I’ve not actually seen the film! So for me the most emotional Disney moment has to be the scene in The Fox and The Hound where Tod is told he and Copper can’t be friends anymore. If you could pick any Disney character to be your best friend, who would it be? Hmmm… I think I’d get on great with Timon and Pumba! How about you? Are you into the Disney magic? If you want to do this tag then feel free to do so and let me know so I can see your answers! Be our guest, be our guest, put our service to the test!! I always liked A Whole New World from Aladdin. My favourite Disney film was Alice in Wonderland though. But I did love Robin Hood as well, and The Jungle Book. I’ve never been to a Disney park. How deprived am I? loved this comment! my fave disney song is probably whole new world from Aladdin! I love Aladdin as well! That and Lion King has the best songs! “Put our service to the test”,,, love that song!! I think Alice in Wonderland was a bit too “manic” for me! But I loved Jungle Book although not seen it in ages! Awww well a trip to Disneyland Paris is needed I’d say! If you go for the bonfire events in November you get the Halloween and Christmas stuff as well! Yes when Mufasa dies is a teary moment but yes Dumbo is a sad sad moment! Hehe same here! Loved Robin Hood so much! I am SO jealous of you having met him! When we went to Florida there was no mention of him anywhere!! I even complained! I wasn’t tagged but I thought I’d do it anyway!! Little Mermaid is one of those films where I don’t think I’ve seen it through!